We talk about weddings a lot on this site because weddings are invariably taking up a lot of someone’s money on this site. In August, many Billfold friends shared what they spent on their last wedding gift along with their wedding gift philosophy. The general tone of the answers was … not that positive. We spoke recently about the philosophy and reality of her site, Thankful Registry. KC: So I’m not married, but I had a weird experience in my mid-20s. I was a bridesmaid for a really close friend’s wedding. I was late with my registry purchase and ended up choosing a $200 blender. It was the only interesting option left in my price range. I spent ages coming up with a super cute message for the card. Then I heard six months later it was still sitting in storage, unopened. I was bummed. I don’t blame my friends though. I blame blenders for being non-essential kitchen appliances. 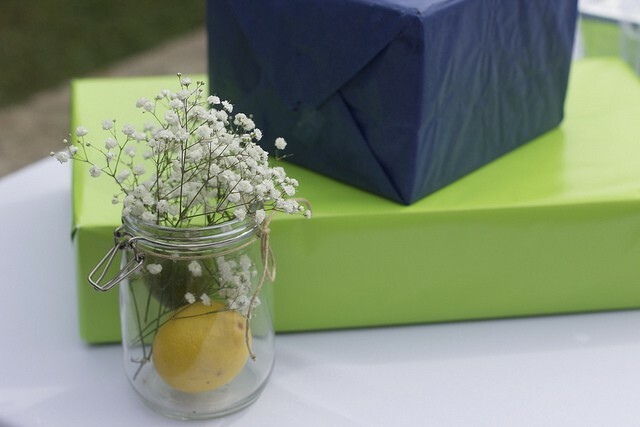 The truth is, wedding gifts are a sore point. There are a handful of wedding registry startups out there trying to transform the way this $19 billion industry works. In fact, thinking about how much money is spent on wedding gifts in this country makes me feel a bit sick. You know the brand Best Made Company? The founder was asked why he started his company and his answer was this: “I just couldn’t bear to resign myself to yet another hollow transaction.” That’s how I felt about wedding registries. LS: So Thankful was born. KC: Yeah, the site launched back in March this year. We launched with a one-week free trial, then a $30 fee. I didn’t know if people would want to pay for it, but the chicken or the egg problem with internet startups these days is: Do you get users first, or do you make money first? We went for both and it turns out our paying customers are people who really care about their wedding registry. LS: I don’t have a lot of experience with wedding registries — I actually just bought my first gift from one recently! One thing I did notice though was that for this site at least (Crate and Barrel) if you bought off the registry, shipping was free. Is that the norm? And is your site able to incorporate that perk? KC: It really depends what site you’re buying from. For example, Amazon has free shipping over $25, but smaller boutiques might have a free shipping threshold of $100. Thankful is kind of a non-­denominational registry in that you add from any store using our bookmarklet. Then we direct family and friends to buy the item from that site. So people can add things from Crate & Barrel, but also electronics from Amazon or stuff from Best Made Co. You can mix it up on Thankful. LS: What were you doing when you had the idea to launch the site? I’m interested in you as a business owner, how that came to be? KC: Until very recently I worked at a design consultancy called Smart Design. I’m a copywriter and I’ve worked at design agencies my entire career. This was a side project until I invested too much of my own savings into it ­­and then it was time to really work on it. I’m really interested in the idea of building something in the wedding category that swims against the tide. I’m not interested in partnering up with the big-­box retailers who are already making so much money from wedding registries. I’m curious if it’s possible to make a meaningful dent. LS: So are you living off of savings right now? Is the site bringing in any money? KC: The site brings in money ­­not enough to pay me ­­yet, so I’m also freelancing. LS: Income is from the memberships and also from affiliate links is that right? KC: Yep, Amazon.com is the only affiliate that’s set up right now because Amazon is a great marketplace and usually has the best prices. For instance, I looked up a little grill to add to one of the sample registries and it sold for $145 on West Elm but it was around $62 on Amazon. LS: Had you always wanted to start your own business? KC: I think I always wanted to build this web site, and now it’s turned from a web site into a possible small business, so I’m navigating that. But I seriously loved working at design agencies, and it was a hard hard decision to leave that behind. Smart Design was really a playground for creative people. It was like summer camp. I will say though, that the “business” side of all this is what makes Thankful really fun and also really challenging. Do you watch the show Shark Tank? LS: I’ve seen it once! Ha actually wait that’s not true. A writer did a recap of the show for our site. KC: I’ve learned so much about business from watching that show! I’m in that gray area right now between having a hobby and having an actual viable business. LS: What’s an example of something you’ve learned from that show? KC: They talk a lot about being realistic about the competition. For me, the competition is Target or The Knot. I could never compete with them at what they do, so I have to know and trust why my customers are choosing Thankful over the competition. Then I have to continuously work to widen that gap so the choice between Thankful and Target/TheKnot keeps getting clearer and clearer. LS: How are couples finding you right now? KC: We’ve had two pieces of press that have been huge for us in reaching our market: one article in FastCoDesign and one in TechCrunch. Most of our international customers have found Thankful through one of these two articles. And now that the first wave of registries has been live, people are finding the site through word of mouth too. Friends will see friends register on Thankful, then start a trial. LS: Oh, so is it a lot of international people? Are registries a round­-the-­world thing? KC: YES. I didn’t know this either but we expanded to international currencies and shipping addresses because we had European, Canadian, Australian, South African and even Nigerian customers. Asians give cash as gifts so I don’t expect Thankful will be big in Asia but Nigeria? Maybe! LS: Did you design the site yourself? KC: I worked with a design agency in Little Italy called Crush+Lovely (crushlovely.com) They took on Thankful as an investment project, so they have a minority stake in the company. They’re a really great design, video and development agency. Great people. LS: Do you have friends there? How did you negotiate that? KC: I didn’t have friends there, but we’re friends now. I just looked them up and wrote them a pitch. Then we had a call to see if they were interested in helping me build this. LS: How did you know to offer a stake? That seems so BUSINESSY and impressive. KC: Haha, tell me about it. They had already worked with other startups before so they told me early on that they can take equity if my budget is too small, which it was. It’s pretty common actually. LS: Did you hire a lawyer? How did you know you were getting a good deal? KC: A deal is only good when it’s good for both sides. With Crush+Lovely, I knew I was getting a business partner as well as a design/development vendor, so it’s not just about the numbers. But I do have a lawyer for all the paperwork that’s involved. Having a lawyer is another topic altogether. I’ve found a bunch of great programs to help me with all the other stuff but the legal stuff is the worst. I wish one of my high school friends grew up to be a startup lawyer. LS: Me too. Have you had any pushback on the price? Are there other registries that charge? KC: So retailer operated registries are always free because they make bank when everything on that registry is sold, but other independent registry sites (such as cash registries or honeymoon registries) take a percentage cut of the gifts. Either the couple is charged the fee, which can be up to 8 percent of the total, or the guest gets that added to their gift. I decided to go for a flat­-fee to keep things simple, and because I didn’t want to take a cut of people’s gifts. LS: Yes, I like that much better actually. How did you decide on a yearly fee, versus monthly or something else? KC: People are supposed to keep their registry open for up to a year after their wedding as a courtesy to guests, so I wouldn’t charge monthly. Plus it’s simpler to say it’s $30 flat, no other fees or costs. LS: I love that you can say why you want a particular gift. Are people using the site in a way that’s surprising to you? You mentioned international was a surprise, but are people putting things on their registries that you didn’t expect? KC: Charity contributions. That was on my list of to-­do’s — figuring out how to incorporate non-profit donations. But when I started snooping at people’s registries, I saw they were doing it already anyway. I wrote a blog post about it here. Stuff like that makes me feel fuzzy. LS: One reason that I only just bought my first registry gift was because yeah, registries did feel impersonal but scrolling the examples you sent me it feels like, wow they put so much thought into this. KC: Yeah, we have all these little touches to make buying a gift more personal for family and friends. I’m curious if it really makes a difference, you know? LS: And it’s nice to scroll through and see what people chose and read about why they chose some things. I really like it. KC: Some people are registering for wacky stuff. I have a list, let me grab it: 23andme DNA service, language classes, CSA memberships, adopting an olive tree, zoo memberships, GoPro surf camera, sewing machines… It’s more about things you’re passionate about, rather than things in the home like towels or sheets, even though towels and sheets are really great and useful too. LS: Yeah, scrolling through traditional registries is like, well among these pieces of china, which feels special? So back to you,­ how much time are you spending on the site and how much time on freelancing to pay your bills? How do you structure your days and weeks? KC: I’m embarrassed to say I don’t have a system right now, but I’m finding that a balance of both keeps me sane. I am sitting in New Work City in Chinatown right now. I’ve also worked out of Grind. My structure is pretty freestyle at the moment, but I think I’ll work to a more solid schedule soon. I’m answering customer service emails all hours of the day though. LS: Have you had any feedback yet from friends and family on using the registries to buy gifts? KC: My friends have been my biggest fans and supporters. The weekend the site launched, two of my friends (both male) spent hours moving their registries over to Thankful. That was the best validation. I’ll admit there has been some confusion from the older generations but that was expected. I think every registry system has human error issues, so it’s not that big of a deal. LS: Can people register for cash gifts through Thankful? KC: Not right now. I’m still trying to think of how to incorporate cash gifts that makes sense for Thankful. People do register for gift cards though to restaurants, department stores and all the usual places. Gift cards are easy for guests too if they don’t have time and want to give something easy. But ideally, cash is easiest. I give cash myself, but I try to avoid doing it through registry sites because of the unnecessary fees. LS: Looking through the example registries, some of the coolest things are also the most expensive, as is usually true in all of life. I’d love a way to somehow buy a share of a gift — or be hooked up with someone who also wanted to go halfsies on something really nice. KC: My thoughts on group gifts is they’re more meaningful when the group is meaningful too, you know? It’s like back in high school when a bunch of people would chip in $5 and get someone something that was $40. That was a huge deal. I don’t really like the idea of anonymous group gifts, so for now at least, I’m okay with group gifts happening off the site. LS: I never thought of it that way. That makes a lot of sense. KC: It’s a hassle but worth it when everyone signs the same card. LS: How do you decide what to spend on a wedding gift? Do you think amount matters? KC: No, I don’t think the actual dollar value of the gift matters. For me at least, a lot of times I’m traveling to places to go to the wedding. So adding up the flight, hotel, airport transfers…all that stuff means this is a big freaking deal to me. I know my presence is already appreciated, but I want to give a gift anyway as a token. LS: So what’s next for Thankful? KC: I’m trying to get all my ducks in a row for next year’s wedding season and see how far I can take this. But before that, I’ve got a Thanksgiving thing in the works that I’m excited about. Oh, and staying ahead of competitors and copycats. You know, the usual biz problems.